It’s a new month, that means we need goals on the goal board! Get to it! Bring a Friend Day is this Thursday! All classes are free to try!! Nutrition Challenge will start September 24th and will go 8 weeks long! Mark your calendars. 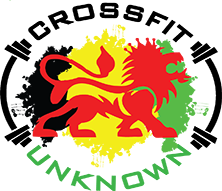 More details to come on a meeting before hand to go over all the details! Friday is here, and it’s time for a hero workout! Another new one on the table today. We’ve been doing a lot of pulling this week, mainly from the floor, so why not do some squatting for our workout?? Should be a good one. If this is a light weight to you, then you should push the pace. If this is a so-so weight, then do what you can do, take breaks when needed. If you can handle the load and the movements, then it all comes down to how fast you can run! Enjoy your Friday! Today is Billy Peterson’s birthday! If you see him wish him a happy one!! 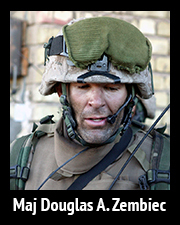 U.S. Marine Corps Maj. Douglas A. Zembiec, 34, of Albuquerque, New Mexico, assigned to Headquarters Battalion, Marine Corps National Capital Region, Henderson Hall, based in Arlington, Virginia, was killed during a firefight on May 11, 2007, in Baghdad, Iraq. He is survived by his wife, Pamela; daughter, Fallyn; parents, Donald and Jo Ann; and brother, John.